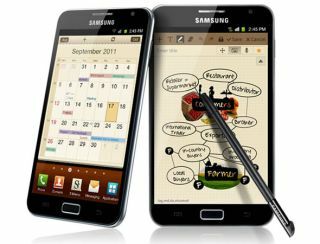 The Samsung Galaxy Note device will launch in the US on the AT&T network on February 19, the carrier has announced. The phone/tablet hybrid announced at IFA 2011 last September will cost $300 on a two-year contract. The US version of the device brings 4G LTE connectivity along with the gorgeous 5.3-inch Super AMOLED (1280 x 800) display. The Note arrives in stores on February 19, but eager beavers can have it delivered on the 17 by pre-ordering on the website, when that process begins on February 5. The 9.95mm-thin Samsung Galaxy Note was awarded four stars in a recent TechRadar review. The display "blows the S2 out of the water" according to our reviewer, while the S Pen stylus brings some interesting new functionality to Samsung's range of phones and tablets. Under the hood there's a 1.4GHz dual-core processor as well as up to 32GB of internal storage, so the specs are pretty tight. The only problem for this undeniably gorgeous device, we found, was a bit of an identity crisis. Is it a phone or a tablet, or both? And who is it aimed at?